Not too narrow, not too wide, not too rigid, not too soft, but just right. Now with chamfered hub to let dirt fall away more easily, for better bearing life. 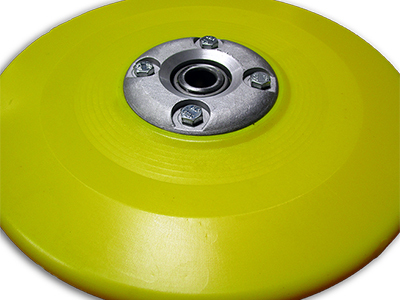 Easy bearing replacement when that time arrives. 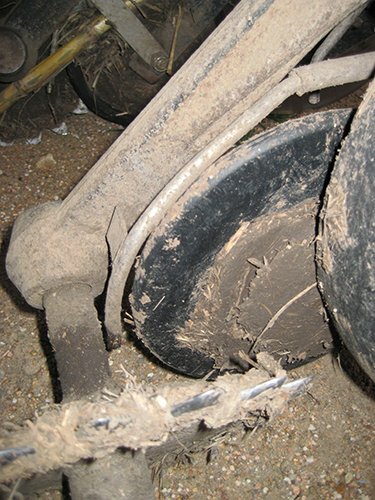 The narrow, sleek hub sheds mud better because there is more clearance between the hub and the firming arm. 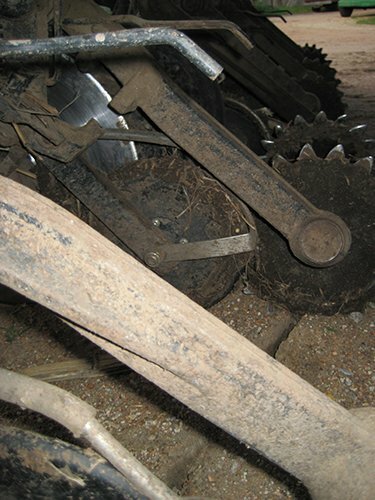 Also there aren’t bolt heads sticking out to snag on vines and straw. 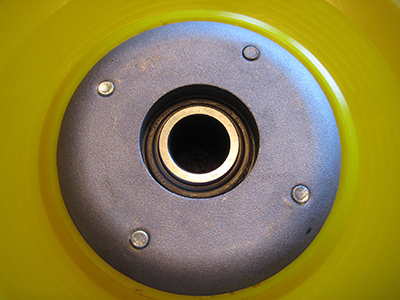 The urethane wheel ring itself stays cleaner than other designs too — and stays down in the bottom of the furrow better. 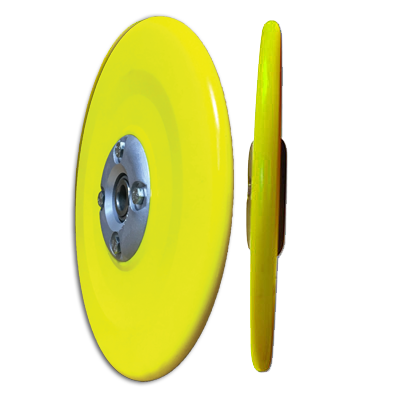 The DuraLok is the narrowest firming wheel on the market at 0.45″, and outperforms the others because of this — it simply fits down into the very bottom of the furrow better. 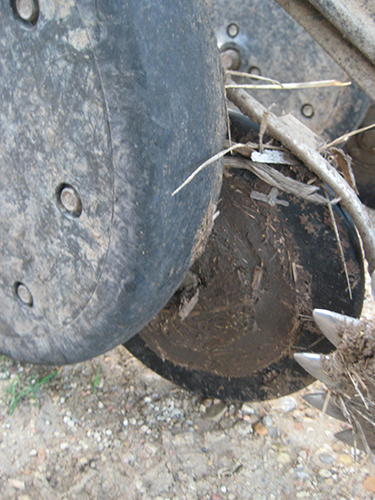 Further, when the soil is getting slightly hard or dry, or when you need extra firming such as for soybeans (they must draw more water to germinate than other crops), the relatively hard plastic of the DuraLok does a better job of imprinting the seed into the soil, unlike softer tires where the seed indents the tire instead of the seed embedding in the soil. 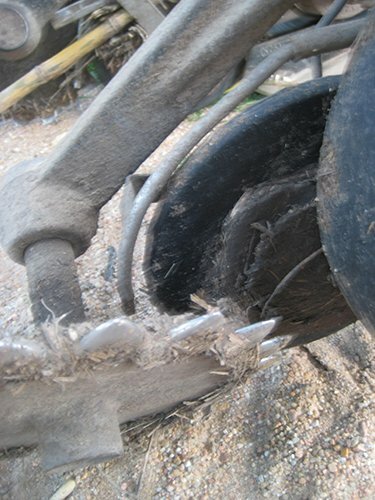 We’ve done a lot of digging and comparing, and nothing else firms the seeds like DuraLok. 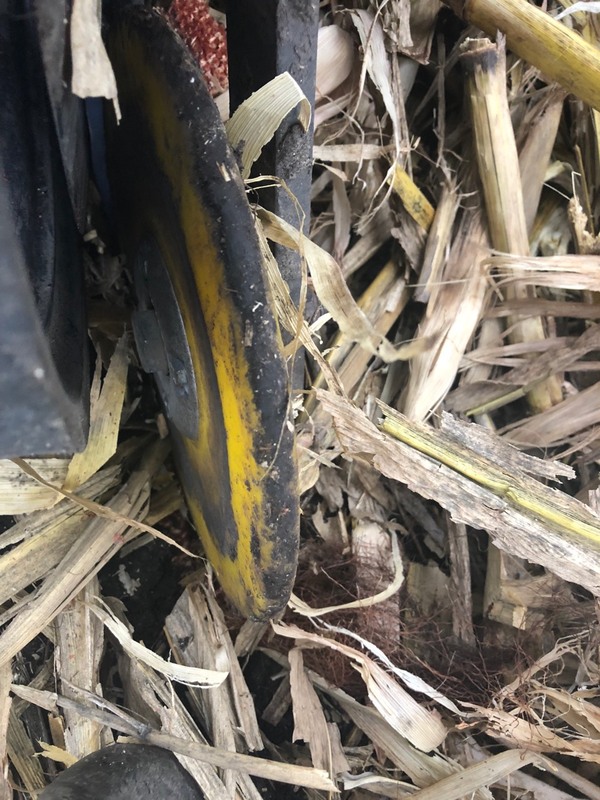 The sleek shape of the DuraLok allows it to stay clean when OEM & competitor (aftermarket) firming wheels are clogging with mud, pulling seeds out, and dragging mud against the gauge wheel. 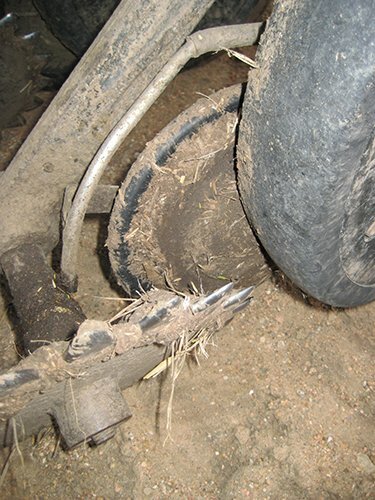 Even the SDX firming wheel was having more problems than the DuraLok (see photos below). 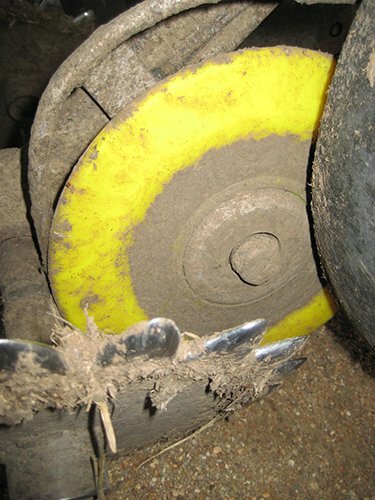 A great many of our customers report that no other seed-lock wheel even comes close to staying as clean as the DuraLok. 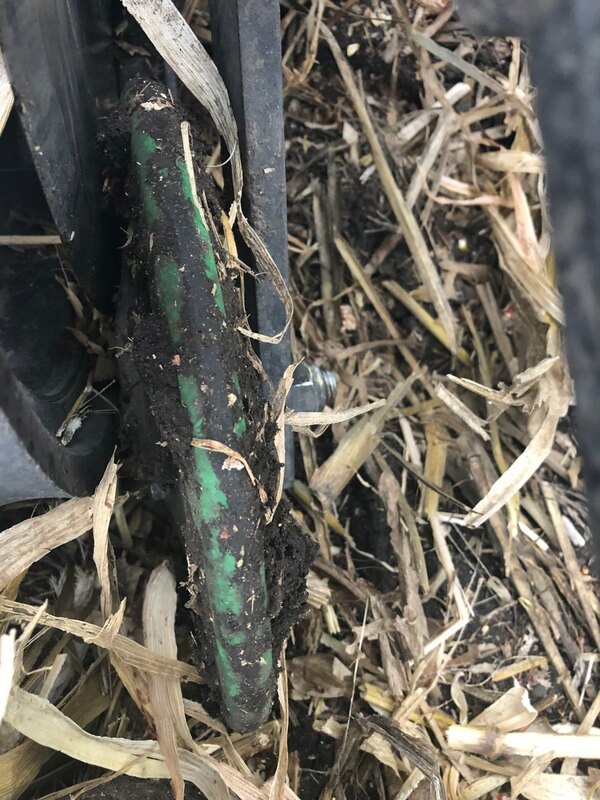 We’ll keep you running when all the others are clogged up.